After having passed with distinction both Bachelor (1998) and Masters degrees (2000) in The Hague, Joris van Rijn entered the Juilliard School, New York, studying with Glenn Dicterow (concert master of the N.Y. Philharmonic) and Robert Mann. 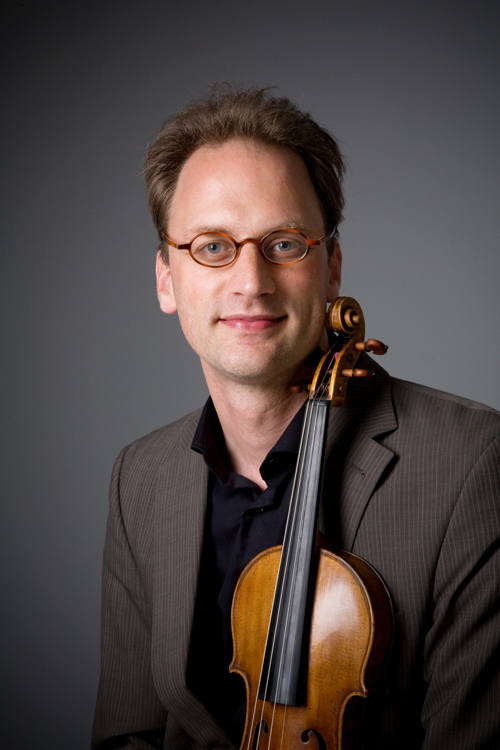 In 2001 he obtained the Professional Studies Degree for solo violin, chamber music and orchestra. Since September 2002 Joris is 1st concertmaster of the Radio Philharmonic Orchestra and the Radio Chamber Philharmonic (Holland). He regularly performs as concertmaster in several Dutch orchestras. As soloist Joris played with the Residentie Orchestra (the Hague), the Noord Holland Philharmonic Orchestra the Radio Philharmonic Orchestra and the Radio Symphony Orchestra (Holland). In September 2002 his debut-cd is released, containing contemporary caprices for solo violin written by 24 Dutch composers. As member of the Ruysdael Quartet and Ensemble Cameleon he is invited frequently for chamber music festivals throughout Europe.